Sterling silver sand dollar earrings are tiny. Weight:1.37 grams. 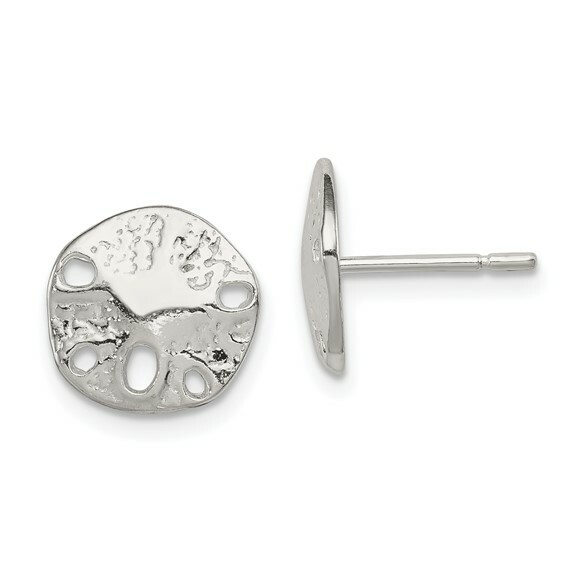 Each earring measures 5/16 inches tall by 3/8 inches wide.